Learning about autism statistics can help you to better understand the autism spectrum of disorders. Statistics provide insight into the rates of autism diagnoses. Anyone wanting to know more about the pervasive developmental disorders should study autism statistics. How Many People Are Affected by Autism Worldwide? The statistics are periodically updated to stay current. The data is useful to help the CDC evaluate current autism research and search for more information on potential causes of autism. One in 150 American children is born with autism spectrum disorder. One in 75 American children who have siblings diagnosed on the spectrum are diagnosed as well. A ratio of 4 boys to 1 girl develops autism. In fact, 1 in 98 boys are diagnosed with autism. 1 to 1.5 million Americans has autism. 24,000 people are diagnosed with autism for the first time every year in the USA. Total annual autism expenses impacts the U.S. economy with a cost of $90 billion dollars. This cost is expected to double to $200 to $400 billion by the end of the next decade. 3.4 out of 1,000 children have autism. This rate is lower than the amount of children diagnosed with mental retardation but higher than the rate of children diagnosed with cerebral palsy, vision problems or hearing loss. In 2007, the CDC's Autism and Developmental Disabilities Monitoring (ADDM) Network released a report that provided important information on the prevalence of autism.Six different ADDM sites collected autism data in communities across the country from medical and school records. The project sought to describe how many children are affected with pervasive developmental disorders, compare groups of affected children in different geographic areas and search for information on potential causes of autism. The report determined that autism occurred in 6.7 per 1,000 8-year-old children in 2000 and in 6.6 per 1,000 8-year-old children in 2002 in various locations in the USA. These numbers mean that 1 in 150 8-year-old children have autism throughout the USA. Over the years, autism statistics has shown a steady increase in the number of annual cases of autism. The data also consistently shows that boys are affected by autism more often than girls are. The reasons for the rise in autism cases, or why boys are more vulnerable to the condition than girls are unknown but some think that the problem lies in the X chromosome, making males more susceptible since they have only one X chromosome. The statistics also reveals the economic impact of autism costs. If autism rates continue to increase, it could have a significant negative effect on the US economy. CDC: The CDC website has autism statistics and information on the ADDM study data. Autism Society of America: The site has helpful statistic information. Talk About Curing Autism: This site provides a detailed article on statistics in the USA and Europe. New England Center for Children: The site has a fact sheet of autism statistics. 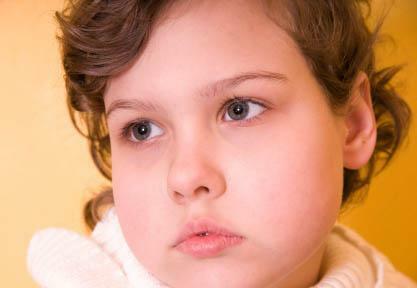 Autism Research Institute: The Autism Research Institute has articles with key autism statistics. Webmd: Webmd has an informative article on CDC autism statistics. Autism statistics provides alarming evidence of the increase of pervasive developmental disorders. The widespread incidence of ASD shows that the conditions can affect anyone. The economic impact of autism and the increase in the number of cases reveals an urgent need for more research. Perhaps the statistical data will prompt more funding for research that can lead to better treatments, preventative measures and ultimately, a cure.